Rinnai home and water heating products are dedicated to a smarter kind of comfort. With our precisely engineered tankless water heaters, you can count on Rinnai to deliver an endless supply of hot water whenever you need it – even for multiple tasks at the same time. Plus, they feature space-saving design and ultra efficient performance for monthly energy savings. 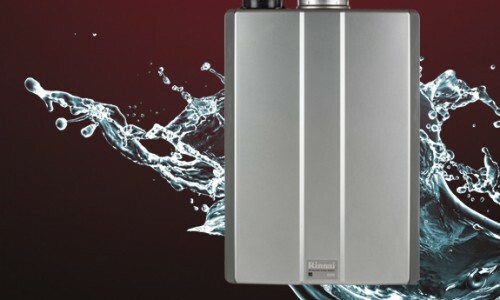 Efficiency and versatility have also made Rinnai Tankless Water Heaters a hit with commercial applications, giving restaurants, hotels, schools, multifamily residences and others the reliable performance they need to meet demands and reduce operating costs. Our RH180 Hybrid Tank-Tankless Water Heater utilizes the same on-demand tankless technology with an efficient storage tank to deliver more hot water with less recovery time than a traditional – all in a quick and easy installation. That same dedication to creating solutions that enhance the way people live is reflected in our home heating products. From the efficiency of our Condensing Boilers to the big comfort, small-space warmth of our Vent-Free Fan Convectors and Energy Saver® Direct Vent Wall Furnaces, cost-effective heat is here. Whether seeking whole-house comfort, a supplemental heating solution for nearly any room, or a single, energy-efficient source for home and water heating, we’ve developed the innovative products that open up a world of pleasant possibilities. The new RUR98i and RUR98e Tankless Water Heaters feature recirculation (with or without a dedicated recirculation line) provided by Thermal Bypass Technology, including an integrated recirculation pump, internal bypass line and internal bypass valve. The innovative design behind Rinnai Tankless Water Heaters provides hot water only when you need it, which saves on your energy bill. What’s more, you get an endless supply of hot water and endless comfort. Enhance the Comfort of the Spaces you Love! Smart technology makes Rinnai EnergySaver Direct Vent Wall Furnaces and Vent-Free Fan Convectors the perfect solution for whole-home or supplemental heating. 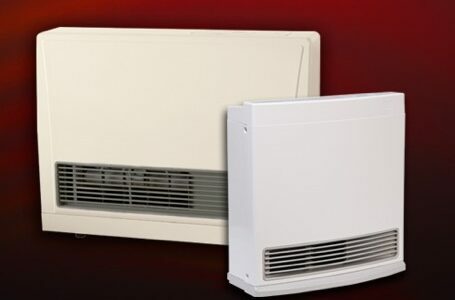 These cost-effective heating solutions quickly transform any space, surrounding you with comfort and warmth. Thanks to superior design and engineering, Rinnai home and water heating products continually raise the standard in comfort, convenience and reliability. In fact, our commitment to building in quality at every level has made Rinnai Tankless Water Heaters the #1 selling tankless water heating brand in the U.S. and Canada.